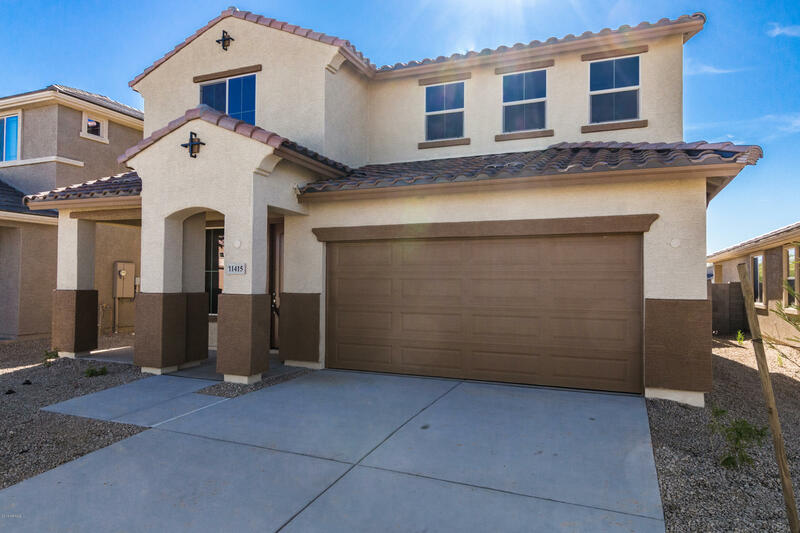 All SOUTH GATE AT CANYON RIDG homes currently listed for sale in Surprise as of 04/20/2019 are shown below. You can change the search criteria at any time by pressing the 'Change Search' button below. "Beautiful MODEL HOME. NEW construction. Never lived in, large finished backyard, gated community, close to Arrowhead, shopping, dining, entertainment and freeways for commuting. Upgrades to the model include granite counter tops in kitchen, stainless steel appliances, upgraded flooring throughout, separate walk in shower and garden tub in master bath, large loft upstairs, downstairs den/office. The home has two tone paint throughout in mindful gray color, upgraded.SouthGate is conveniently locat"
"Open the door to your piece of paradise! This beautiful, immaculately maintained former model, shows pride of ownership throughout! Step inside the welcoming foyer into the desirable great rm plan. The gourmet kitchen features an oversized island, granite counters, upgraded pendant lighting & designer tile back splash. The bright & spacious great rm opens to your large back yd w/wonderful expanded patio perfect for relaxing or entertaining. 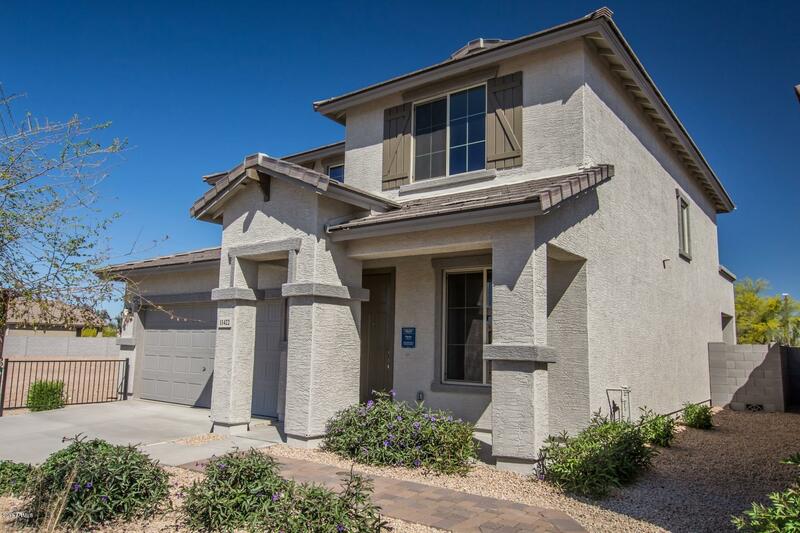 Back inside your spacious Master w/sitting area, featur"
"Beautiful NEW construction. Never lived in, large finished backyard, gated community, close to Arrowhead, shopping, dining, entertainment and freeways for commuting. Upgrades to the model include granite counter tops in kitchen, black appliances, dual sinks, walk in shower and garden tub in master bath, large loft upstairs, downstairs den/office. 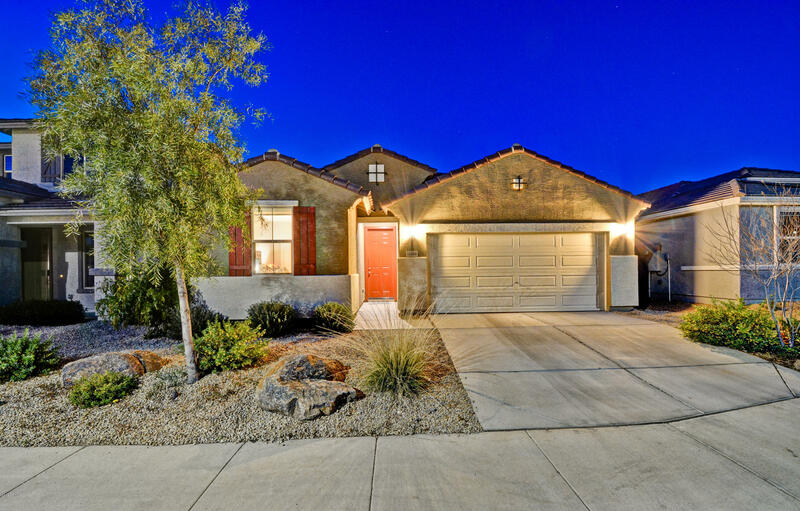 upgraded.SouthGate is conveniently located near the 101 and 303 Loop Freeways, with close access to the US-60 and is within a short driving distance o"